A press brake is a machine used to bend sheets of metal in a pre-determined form by clamping the workpiece between a punch and a die. Agam operates 2 press brakes, one of them being CNC controlled and operated. This technology, combined with a sophisticated software, allows the efficient manufacturing of complex sheet metal parts, whether aluminum or steel. Agam's Press Brake can easily apply over 78,000 pounds of force. When time is of the essence, prototypes can be designed, engineered, and manufactured quickly. When approved, production can then take place with repeat sequences of tooling. 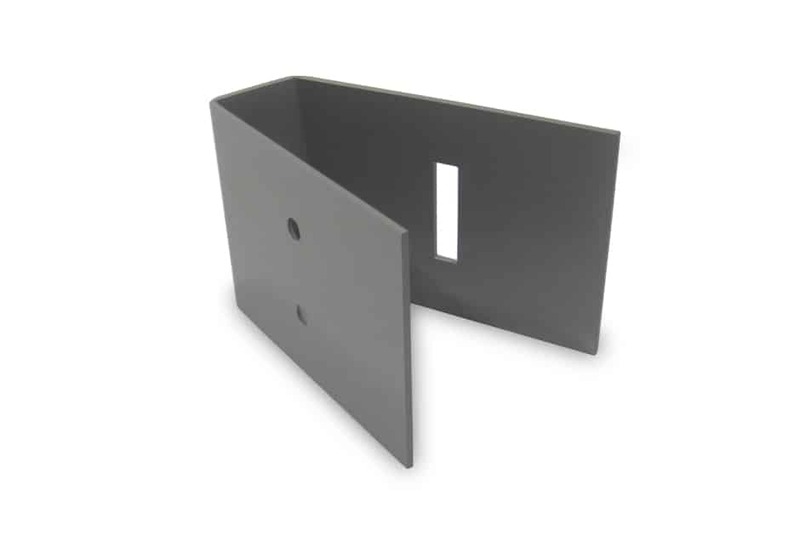 Whether for small doors on display cases or counters, or for large doors on supply closets or conference rooms, one type of accessory made on this machine is a hinge that’s fabricated through a few steps per the above. The above process bends a sheet of metal cut on the laser. Such shelves integrate the shelving brackets to the shelf itself. Some features of this product are strong load factors, efficient manufacturing, easy setup, and modularity. These shelves are fully engineered, manufactured, and powder coated in-house. The backgauge is use to accurately position the material so that the bend is precise and easily repeatable. On the screen, prior to manufacturing, our software guides the operator through tool selection and illustrates each sequence of the folding process. Agam owns a large assortment of tooling for this machine. Through the years, we have developed a unique expertise in the design, engineering and fabrication of custom parts for a large variety of industries. Here are a few examples of what's recently been made on the press brake.